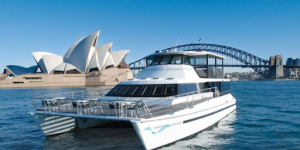 Bring a bit of excitement back to your business this year and hire one of East Coast Sailings Corporate Boat Charter in Sydney. You will be surprised what it can do for your business and it’s culture! Unsure of what to do on a yacht? Keep reading for some corporate boat charter ideas. 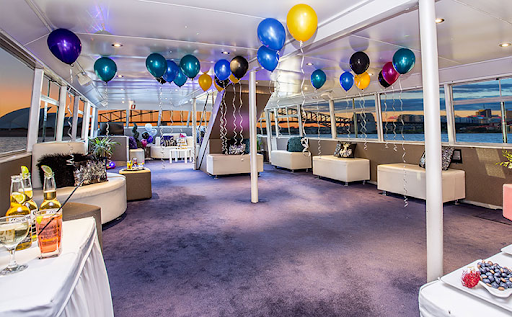 Christmas parties are the pinnacle of corporate boat charter events in Sydney. This is a great way to show your appreciation for your employees, and celebrate a fabulous and successful year within the business. With options of hors-d’oeuvre, sit down meals and free flow alcohol, let this Christmas party be one that no one will forget. Mingle and socialise with colleagues in an environment, that helps form close relationships and strengthen connections ready for the next year. With closer knit teams, this friendly atmosphere can be conveyed throughout the entire workplace. The type of boats suitable for a Christmas party mainly depends on the number of guests and the design of the vessel you think would best suit. 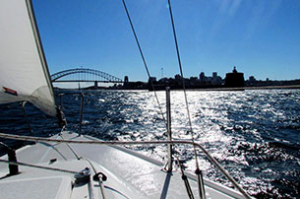 Private Corporate Boat Charters in Sydney with East Coast Sailing are a way to provide a lively and unforgettable experience. Hiring a Corporate Boat Charter from Eastcoast Sailing you will find a magnificent fleet to choose from. Packages are available with all yachts which include food and beverage options which can all be found here. Improve Team Morality – Bland Team Building Activities Don’t Work Anymore. What better way to get involved in a team building day than having a sailing regatta on the harbour in a Corporate Boat Charter? Instead of in a boring work or meeting room have a team building day onboard. Test leadership, teamwork and problem-solving skills, along with bringing out individuals competitive sides with a yacht race. Race against each other in a fun environment where teamwork and cooperation are key factors needed to win. It is the perfect activity in which participants can engage in at any age, gender or fitness level. Boats most suitable for team building activities are yachts, catamarans and motor cruisers. Sometimes sealing a deal can be all about impressing a client with luxury and class. 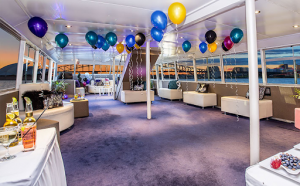 Take your clients on a cruise around whilst discussing your business ventures. Let the harbour experience help with the art of persuasion or invite current clients to maintain your strong business relationship. Boats appropriate for this include the luxury yachts and boats that are suitable for around 10 -50 people. To find out more information about our luxury yachts and boat charters available search here. Launching a new product is an exciting time, why not match that excitement by launching it on a luxury yacht experience! Create hype for the product whilst cruising through the Harbour, and get this new addition to the business off to a great start! Eastcoast Sailing offers yachts suitable for product launches in a large or more confined setting, take a look. Employees are the glue to your business. Without employees, all of the amazing work that occurs throughout the year wouldn’t happen without your amazing team. Maybe you hit a tough budget this week. Maybe your team completed a major project that will reap large benefits. Or maybe you want to organise a sporadic event to keep everyone motivated throughout the year. Hire a Corporate Boat Charter for a period or for the entire day, and take the time to thank your employees. Whether this be an invitation outreach to the particularly high achievers or the whole crew, it will convey the message to your employees that their work is appreciated and they are valued. This is extremely beneficial for the work culture and for employee performance. Struggling to keep your business ideas? Get your team out of their normal way of thinking by getting onto Sydney Harbour! Let the ideas flow as you float on the waves. Moving meetings from land to water is an ever increasing new executive craze. With Corporate Boat Charters providing all of the facilities needed and more to provide a productive and creative meeting or conference. It is no surprise that more and more businesses are undertaking this concept too. With food and beverage packages available with all yachts, you can decide how extravagant or low key you would like your meeting to be.